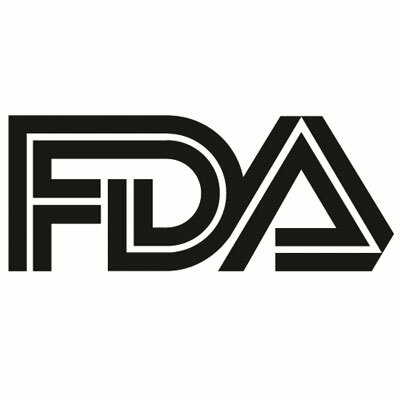 The US Food and Drug Administration (FDA) has approved TherapeuticsMD's TX-001HR (BIJUVA) for the treatment of moderate to severe vasomotor symptoms (commonly known as hot flashes or flushes) due to menopause in women with a uterus. TX-001HR is a 1 mg/100 mg oral capsule containing estradiol and progesterone and is the first and only FDA-approved bio-identical hormone therapy combination oral capsule containing estradiol and progesterone for this approved indication. “The approval of BIJUVA finally supports the science of combination bio-identical estradiol and progesterone,” said Kelly S. Selby, R.Ph., FIACP, pharmacist and compounding pharmacy owner, in a recent statement. “Compounding pharmacists have been supporting women and their health care providers who request bio-identical hormone therapy for years and look forward to having BIJUVA as a commercially available option that is covered by insurance." Data from the BIJUVA clinical development program that included the pivotal phase 3 Replenish Trial served as the basis for the approval. In the phase 3 clinical trial, investigators assessed the efficacy and safety of TX-001HR as a treatment for moderate to severe hot flashes in generally healthy, postmenopausal women with a uterus. The change from baseline in the number and severity of hot flashes at weeks 4 and 12 as compared to placebo included the coprimary efficacy endpoints in the Replenish Trial, which were consistent with the FDA guidance. The incidence of endometrial hyperplasia with up to 12 months of treatment served as the primary safety endpoint. In both the frequency and severity of hot flashes, TX-001HR demonstrated a statistically significant reduction from baseline compared to placebo while reducing the risks to the endometrium. Breast tenderness, headache, vaginal bleeding, vaginal discharge, and pelvic pain were the most common adverse reactions (≥3%). Compared to placebo, no clinically significant changes in lipid, coagulation or glucose parameters were noted. Furthermore, no unexpected safety signals occurred. “The approval of BIJUVA represents an important and new opportunity for menopausal women suffering from moderate to severe vasomotor symptoms,” said Brian Bernick, MD, FACOG, co-founder and director of TherapeuticsMD, in a statement. “Menopausal women and their healthchealth careers have been seeking bio-identical combination therapies for many years without an FDA-approved option. BIJUVA is the first and only FDA-approved combination of bio-identical hormones, offering a proven balance of bio-identical estradiol to reduce moderate to severe hot flashes combined with bio-identical progesterone to reduce the risks to the endometrium. Trial results were published in the Obstetrics & Gynecology journal.